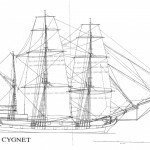 We now find three ships at sea; the Duke of York, the John Pirie and the Cygnet. So how do they measure up? This week we take a look at the ships themselves. What are they made of? How similar are they? How are they designed to keep afloat and what keeps them sailing smoothly? Which of these are types of ships? Are there any similarities in how the three authors record the week’s events? Examine the ship profiles for each of the ships. What are the similarities and differences? Consider the names of each ship. How do you think the ships were named? What did the ships look like in 1836 and what were their main features? What materials were these vessels made from? How have ships changed over time and what role has technology played in this? How are ships designed so that they remain buoyant? Chronology, terms and concepts create a chronology or time line of when different types of vessels were developed. start a class word bank for words describing different types of ships and boats. Historical Questions and research Choose a particular type of boat or vessel. Use text resources and internet search engines to find out when the vessel was first used, where it was invented and what its main purpose was. Analysis and use of sources Search for Google images of vessels described as barques, ships, brigs, snows and schooners. Compare these images to the descriptions and images in the ‘ships’ section of this website. Can you find any examples of where our description doesn’t match the images you find? Why do you think this happens? Perspectives and interpretations We hear from the captains of all three ships. How would a passenger or other crew member write about the events that happen this week?-The word ‘ship’ can be used as a general term to describe a vessel but is also the name of a sailing vessel rigged a particular way. Some people think it is important that we use the word ‘ship’ only to describe this particular type of vessel. Who would feel strongly about this and why would they object to the word to describe vessels in general? Explanation and communication Imagine that the three captains are able to speak to each other on the telephone during this week. Develop a role play to demonstrate the conversations they might have had. 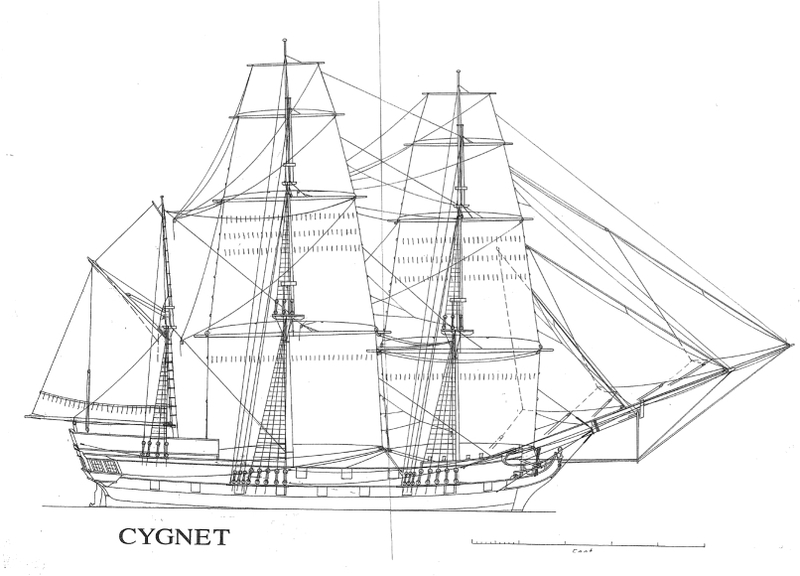 Examine the drawing of the cygnet. How do you think this drawing was made? What kinds of tools were used? Have a go at drawing one of the ships. How are ships designed so that they float even though they are heavy? Find out about the concept of buoyancy. Design and build your own ship from junk materials. Test your boat for buoyancy. How many marbles can it hold before it sinks? Use the ship profiles in this website to find out the lengths of all three ships. Make a graph to compare the sizes of the ships. How do the ships compare in length to modern ships, buses and aeroplanes? Imagine that you are preparing to sail from England to South Australia in 2011. Design the perfect sailing ship to use for your journey. Consider the materials you will use and add features for safety, comfort and speed. Explore the way this sailing ship was built. Imagine these journeys were taken in 1736, 1936 or 2036. How would the ships and experiences of the passengers have been different? All nine ships were equally equipped to sail to South Australia safely. Next week we spend some time with Captain Martin and his crew aboard the John Pirie. Will it all be smooth sailing or is trouble brewing?